Since all of the nations stricken by drought in sub-Saharan Africa are under-developed, it might be considered that lack of economic and technological development contributed to the problem. To some extent it did, but it is also quite clear that economic and technological advancement is no guarantee against drought. The net effects may be lessened, but the environmental processes act in essentially the same way, whatever the stage of development. nineteenth century, for example, gave rise to the concept of the Great American Desert. 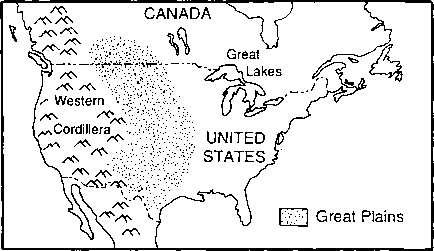 Although the concept has been criticized for being as much myth as reality, it is now evident that several expeditions to the western United States in the early part of the century (Lawson and Stockton 1981), and some decades later to western Canada (Spry 1963), encountered drought conditions which are now known to be quite typical of the area, and which have been repeated again and again since that time. Local drought is not uncommon on the plains. Almost every year in the Canadian west there are areas which experience the limited precipitation and high temperatures necessary for increased aridity (McKay et al. 1967), and archaeological evidence suggests that from the earliest human habitation of the plains it has been so (Van Royen 1937). The original inhabitants, who were nomadic hunters, probably responded in much the same way as the people of the Sahel, when drought threatened. They migrated, following the animals to moister areas. At times, even migration was not enough. For example, during the particularly intense Pueblo drought of the thirteenth century, the population was much reduced by famine (Fritts 1965). 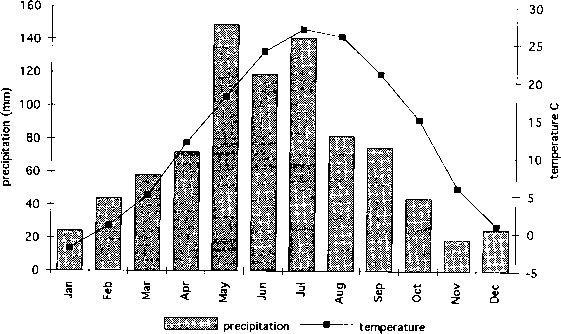 Major drought episodes, extensive in both time and place, are also a recurring feature of the historical climatology of the Great Plains (Bark 1978; Kemp 1982), with the groups of years centred on 1756, 1820 and 1862 being particularly noteworthy (Meko 1992). (1971) has estimated that fully half the settlers in Nebraska and Kansas left the area at that time, like the earlier inhabitants, seeking relief in migration, in this case back to the more humid east. Some of those who stayed experimented with dry-farming, but even that requires a modicum of moisture if it is to be successful. Others allowed the land to revert to its natural state, and used it as grazing for cattle, a use for which it was much more suited in the first place. The lessons of the drought had not been learned well, however. Later, in the 1920s, the rains seemed to have returned to stay and a new generation of arable farmers moved in. Lured by high wheat prices, they turned most of the plains over to the plough, seemingly unconcerned about the previous drought (Watson 1963). Crops were good, as long as precipitation remained above normal. By 1931, however, the good years were all but over, and the drought of the 1930s, in combination with the Depression, created such disruption of the agricultural and social fabric of the region that the effects have reverberated down through the decades. Even today, every dry spell is compared to the benchmark of the Dustbowl. The only possible response for many of the drought victims of the 1930s was migration, as it had been in the past. The Okies of The Grapes of Wrath, leaving behind their parched farms, had much in common with the Indians who had experienced the Pueblo drought six centuries before. The societies were quite different, but they felt the same pressures, and responded in much the same way. By migrating, both were making the ultimate adjustment to a hostile environment. If the drought of the 1930s brought with it hardship and misery, it also produced, finally, the realization that drought on the plains is an integral part of the climate of the area. 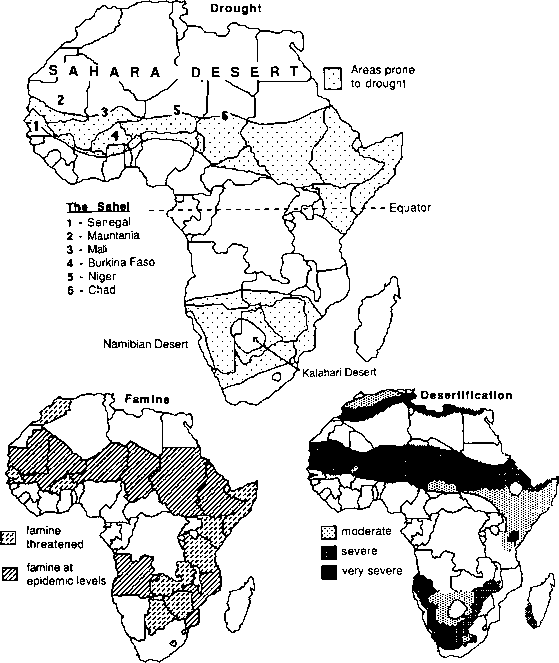 Intense dry spells have recurred since then—particularly in the mid 1970s and early 1980s (Phillips 1982) and again in 1987 and 1988—causing significant disruption at the individual farm and local level. Because of the general acceptance of the limitations imposed by aridity, however, the overall impact was less than it would have been half a century earlier. New agricultural techniques—involving dry farming as well as irrigation—coupled with a more appropriate use of the land, help to offset the worst effects of the arid environment, but some problems will always remain. 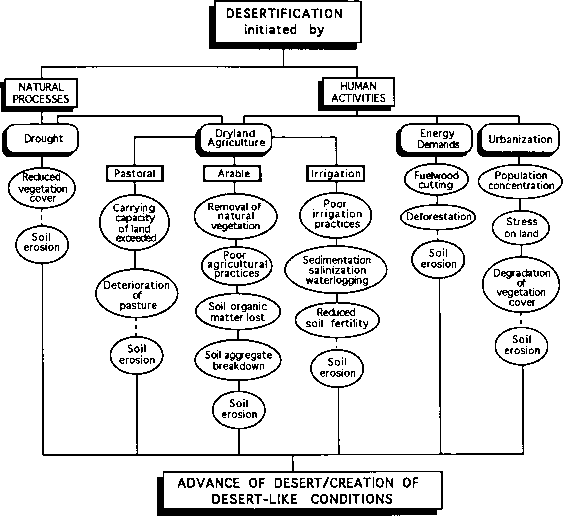 Dry farming is based on the preservation of several years of precipitation to be used for the production of one crop. The land is deep ploughed and allowed to lie fallow for several years. Deep ploughing provides a reservoir for the rain that falls, and various techniques are used to reduce losses by evapotranspiration. Perhaps only a quarter of the total precipitation is made available to the plants in this way, but in Kansas and Nebraska grain yields may double after a three- to four-year fallow (More 1969). Obviously, this is only possible if rain falls in the first place. It might be necessary to counter the lack of precipitation by introducing water from elsewhere in the hydrologic cycle, and making it available through direct irrigation. Most of the major rivers on the plains have been dammed and the underlying aquifers tapped to provide the moisture required. Grandiose schemes, such as the North American Water and Power Alliance (NAWAPA), which would bring water to the plains from the Hudson Bay and Arctic watersheds in northern Canada, have also been suggested (Schindler and Bayley 1990). While this may be ideal for agriculture, it is not without its environmental problems. The larger projects have been roundly criticized for their ability to cause continental scale environmental disruption, but even local or regional schemes can be harmful. The rivers downstream from dams experience reduced flow, which produces physical changes in the stream channel and disrupts the balance in the aquatic environment. Return flow from irrigated fields contains fertilizer and pesticide residues, which alter the chemical composition of the water. The classic example of such changes is the Colorado River, which at its mouth is a mere trickle of highly salinated water, flowing in a channel much larger than the present volume requires (Turk 1980). Agriculture has resorted to the use of groundwater in those areas with no fluvial water supply available. Groundwater has several advantages over surface water, such as reliability of supply and uniform quality, but many of the aquifers beneath the plains have been so extensively used that the recharge rate has fallen far behind demand, and they are becoming depleted. This, in turn, leads to the need for deeper wells, and increased pumping time, with a consequent rise in costs. Whatever the source of the additional moisture, irrigation has one major problem associated with it worldwide, that is the growth of salinization or the build up of salts in the upper layers of the soil. It is a problem as old as irrigation itself (see e.g. Jacobsen and Adams 1971). In areas of high temperature, evaporation rates are generally high, and this causes the salinity of surface water in these areas to be high. Groundwater also tends to have a high salt level, particularly if it has been in the system for a long time. When the water is applied to the crops, the evaporation loss is high, and the salts remain behind in the soil after the water has evaporated. The salt build-up may be so great over time that it interferes with the growth processes in the plants, and they die or provide only much reduced yields. In some cases, the salt may be flushed out of the soil, but the process is costly, and not always completely successful. As a result, land which has been affected by salinization may have to be abandoned. 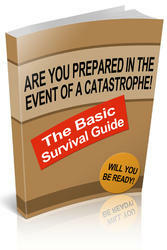 There are also economic factors which must receive consideration along with these physical problems. Although modern irrigation techniques are remarkably successful, they are also costly; a modern central pivot system, for example, will require an investment well in excess of $1000 per hectare. The capital costs of providing equipment to combat drought, in areas of contingent drought, such as the Great Plains, where major drought may occur perhaps only every 15 to 20 years, have to be weighed against the losses that would occur if no action is taken. becomes susceptible to environmental degradation. What are some environmental concerns in the great plains? What are ecological concerns for the great plains? What are some problems in the south central plains? What some issues with the great plains today? What some issues with the great plains in 2018? What were some environmental issues on plain? What are some threats to the Great Plains?